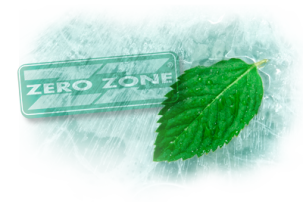 Zero Zone Green | Zero Zone Zero Zone Green – Zero Zone, Inc.
What is it worth to you to know your children and their children’s children will enjoy a world restored to balance? Our employees know what it’s worth and they are working hard to make that dream a reality. 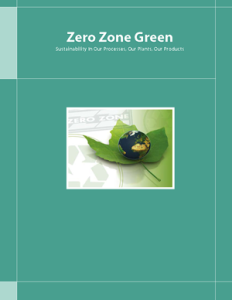 In a world where lowest initial price is king, Zero Zone dares to present customers with a unique value proposition: quality products that require fewer resources to assemble, use less energy, last longer, and have lessened environmental impact, both during manufacture and in actual use. Our approach must be working, because our customers keep coming back for more. They, too, realize that sound business practices, responsible product design, and profitability can coexist with responsible environmental stewardship. Balance is the key. Healing the ozone layer, reducing harmful CO2 emissions, decreasing pollution, managing waste and accelerating recycling efforts. These are not simply noble goals; they are essential to the future of the Earth and all the forms of life that inhabit it. That is why we are committed to achieving even higher levels of sustainability in our processes, our plants and our products. That is why we have become an active member of the US Environmental Protection Agency’s GreenChill Advanced Refrigeration Partnership. That is why we are leveraging our legacy of producing energy-efficient equipment and systems that foster the enduring environmental balance we are pledged to achieve. At Zero Zone, our logo isn’t the only thing that’s green.